Welcome to Iron Fish Distillery. We welcome you to join us in our journey to bring life and spirit back to the farm. As is tradition for the steelhead trout to return to the Betsie River each year, so is our return to the heritage and unique flavors of American small farm distilled spirits. Two years ago, our family reclaimed an abandoned 1890s farmstead and transformed it into Michigan’s first farm distillery. We create a full line of exceptional spirits crafted from locally-harvested grain in small batches to capture the essence of Northern Michigan in every bottle. 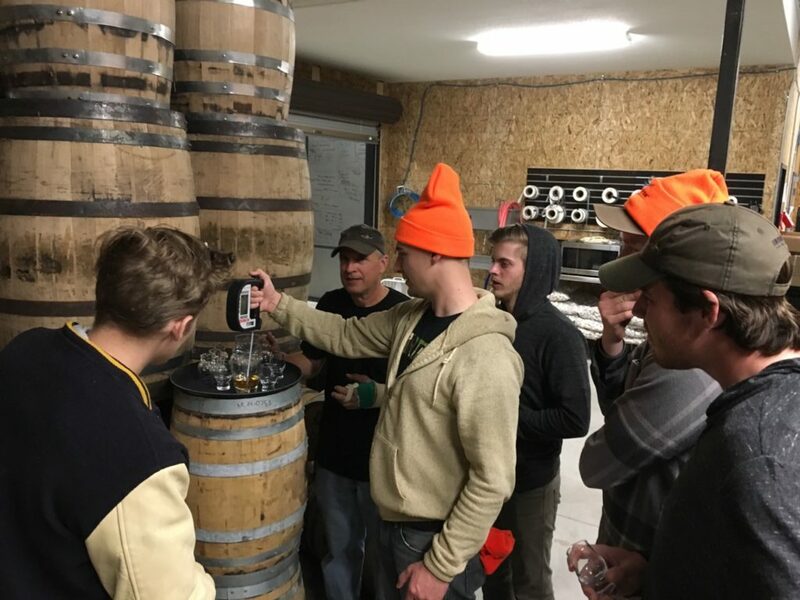 Come tour Michigan’s first full-line farm distillery and taste the bounty of Northern Michigan. During your tour of the distillery and farm you’ll travel back to the 1890s when our land first became a working farm. Your journey will carry you through the origin of Iron Fish and beyond. You’ll explore every step of our soil-to-spirit process from growing and harvesting our own grain, to milling, mashing, fermenting, distilling and bottling our spirits. 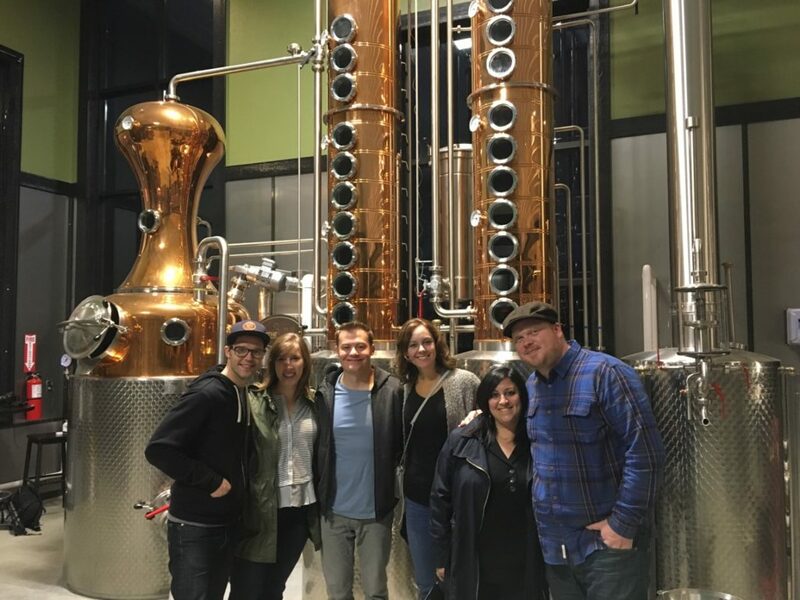 Your tour concludes with a tasting of our spirits including our award-winning Michigan Wheat Vodka and Michigan Woodland Gin, as well as our cask-aged Dark Rum and Maple Syrup Barrel Bourbon. You’ll leave our farm with an embossed Iron Fish Distillery tasting glass as a reminder of your unforgettable experience. Distillery tours are $10 per person 21 years of age or older. Minors may join the tour free of charge, but must be accompanied by an adult at all times. Please arrive 10 to 15 minutes before the start of your tour and register at the bar where you will meet your tour guide. Anyone not checking in by the start of the tour is subject to forfeiting the reserved spot for other visitors on the waiting list. Walk-in reservations are accepted, but booking in advance is recommended. Each tour is limited to 16 people (including minors). Our online reservation system provides a secure method for booking your tour. Reservations are accepted up to two months in advance on a first-come first serve basis. In the event a tour has space available, walk in customers may register at the bar immediately prior to the starting time. All sales are final. If you need to reschedule a booked tour, please call us at (231) 378-3474. 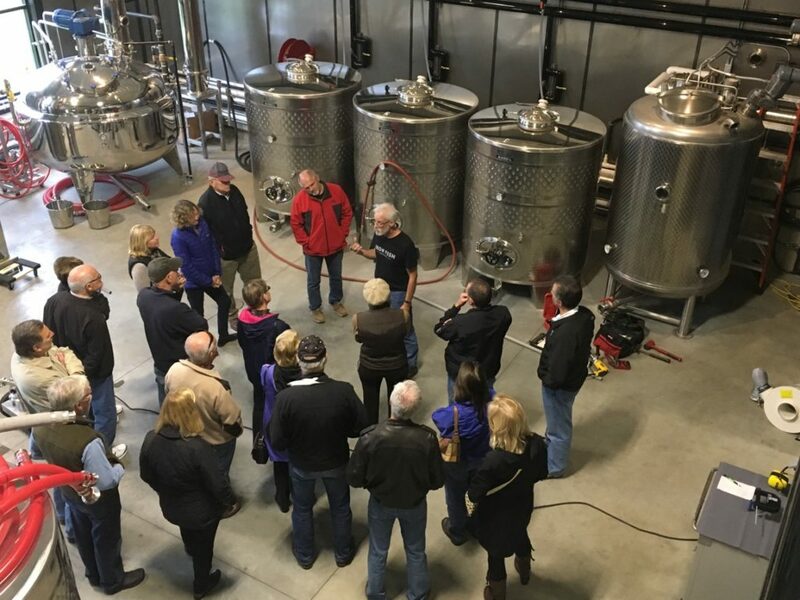 Interested in bringing your organization to the distillery for a tour? We can arrange special times for a VIP tour of large groups. We can accommodate tour buses and motor coaches, convention groups, company retreats and staff outings. Call us at (231) 378-3474 to book your VIP tour.